My name is Lisa McFadyen and I am running to be your Town of Midland Councillor in Ward 3. As your representative on council, and as a fellow resident, I am passionate about rejuvenating three of our town’s greatest assets – Little Lake Park, the Downtown core and our gorgeous waterfront. We are incredibly lucky to live in such a wonderful location. Let’s make sure it is warm and inviting and safe for our families as well as the tourists who pump so much into our economy every year. As your councilor my issues are Your issues. I need to hear your voice, and I will make sure I represent you at the table. I have been lucky to build strong relationships with so many of our townspeople and I look forward to building many more. I have spent over 2 decades working with the community in the financial sector so I understand the unique economic needs and struggles of our town. This will allow me to better advocate for us all. I have a strong commitment to growth and continuous learning that can only benefit us all as I seek out new information and try to find better solutions for the challenges that our town faces. I am committed to giving back to our community through my involvement in a variety of charities and organizations. I currently sit on the Board of Directors for Crime Stoppers-Simcoe Dufferin Muskoka and am a proud member of GBay Girls Give, a local charitable organization, as well as the Georgian Bay Chamber of Commerce. I have also sat on the Board of Directors for the Huronia Community Foundation, as well as the Midland District Business Women’s Association and Rotary Canada. 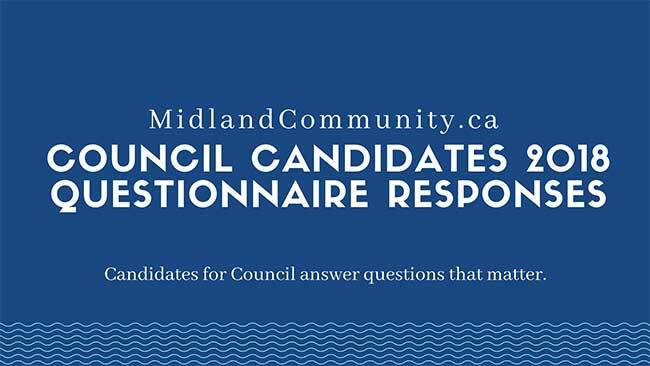 Be the first to comment on "2018 Council Candidate Questionnaire Response – Lisa McFadyen"